Rammelsberg-Goslar is the largest and longest-lived mining and metallurgical complex in the central European metal-producing region whose role was paramount in the economy of Europe for many centuries. It is a very characteristic form of an urban-industrial ensemble which has its most complete and best-preserved expression in Europe at Rammelsberg-Goslar. Rammelsberg lies 1 km south-east of Goslar, in the Harz Mountains. It has been the site of mining for metalliferous ores and metal production (silver, copper, lead, zinc, and gold) since as early as the 3rd century BC. The first documentary mention of Rammelsberg is from the beginning of the 11th century. The rich deposits of silver ore there were one of the main reasons for siting an imperial residence at the foot of the Rammelsberg mountain by Emperor Henry II; he held his first Imperial Assembly there in 1009. The town of Goslar grew up around the imperial residence. The town was to play an important role in the economic operations of the Hanseatic League and achieved great prosperity, which reached a peak around 1450. The revenues from mining, metal production, and trade financed the creation of the late medieval townscape of fortifications, churches, public buildings, and richly decorated mine-owners’ residences which distinguish the present-day town. In 1552 Rammelsberg was taken from the town of Goslar by the Duchy of Brandenburg, which managed it until 1866 when the mining area was seized by the Kingdom of Prussia. Mining and metallurgical operations continued there until the last mine closed in 1988. The remains of the mining industries include waste heaps from the 10th century and excavated remains of the installations that produced them: the St Johanniskirche (c . 970); ore-transportation tracks of the 12th century: the Rathstiefster tunnel or adit (c . 1150); mining structures of the 13th century: the Tiefer-Julius-Fortunatus tunnel (1585); the overseer’s house (c . 1700); Communion Quarry (1768), the Roeder tunnel system, including two well-preserved underground water-wheels (1805): the old office building (1902); the haulage way and vertical shaft with technical equipment (1905); the Gelenbeeker tunnel (1927); the Winkler ventilation shaft (1936); the surface plant complex of 1935-42: and mineworkers’ houses from 1878 to 1950. 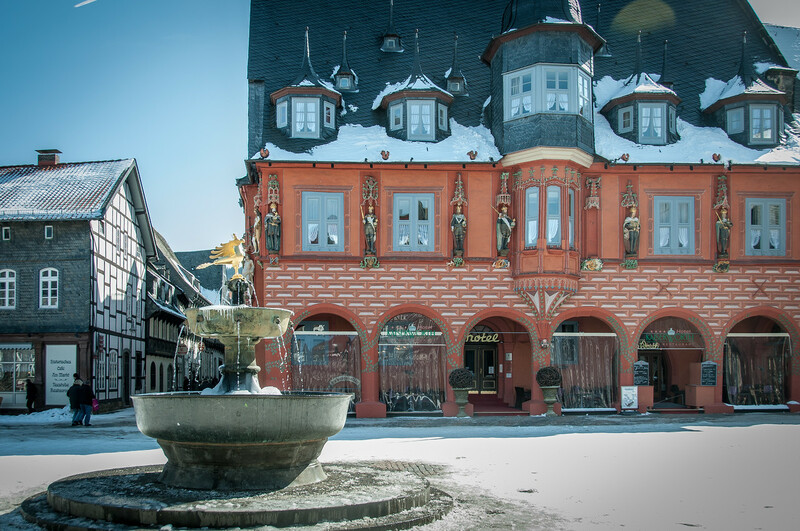 The town of Goslar likewise preserves evidence of its growth and long identification with the mining industry, with remains from many periods. Among these are the Imperial Palace and the Palatine chapel of St Ulrich (c . 1100): the Frankenburger Church (1130); the antechurch of the former Stiftskapelle (1160), containing the 11th-century imperial throne; the market place fountain (c . 1200); the Frankenburg miners’ settlement (c . 1500); many houses of mine-owners from the 14th-16th centuries; and the miners’ infirmary (1537). Unfortunately, I didn’t get to spend a lot of time on Goslar. It was freezing cold, with a stiff wind and I didn’t have appropriate clothing. I’m putting this site on my “return to” list for that reason. I also only was able to visit the old town of Goslar and didn’t get to visit the mines which is an important part of the site. 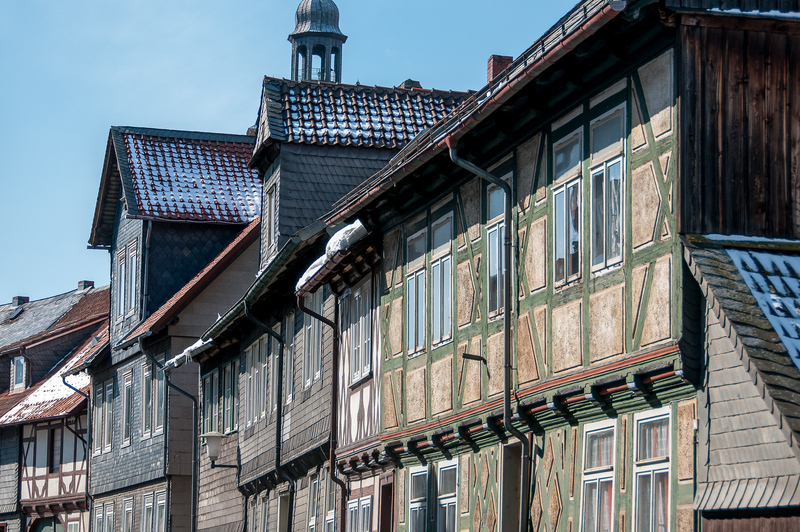 That being said, I’d put Goslar on a par with Bamberg and Quedlinburg for old German towns with well preserved half-timber housing. 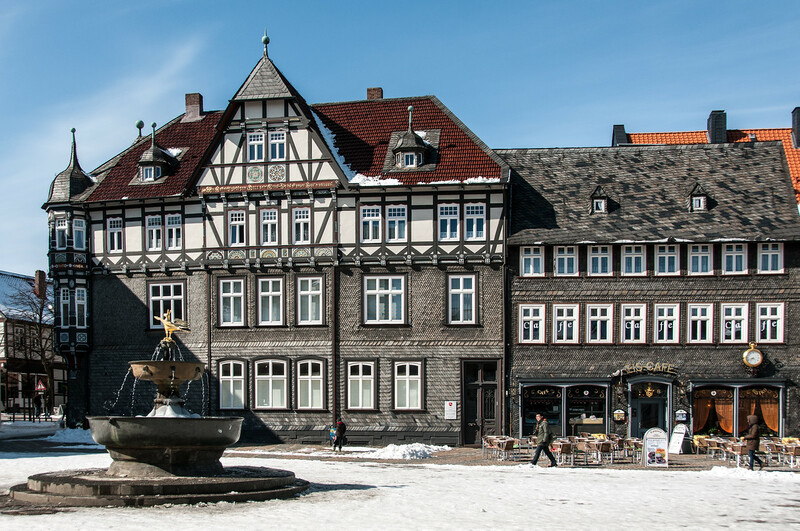 Like both cities, Goslar was undamaged by WWII which allowed the pre-war housing to remain intact. The Mines of Rammelsberg, Historic Town of Goslar and Upper Harz Water Management System are a cultural UNESCO World Heritage Site. It is a combination of an urban medieval landscape with a mines landscape and secular structure. It was inscribed into the UNESCO list in 1992 but was expanded in 2010 to include the Upper Harz Water Management System. Therefore, this UNESCO site is made up of two locations. The first one is the Mines of Rammelsberg and the Historic Town of Goslar. The second one is the site that was added upon its extension: the Upper Harz Water Management System. The Mines of Rammelsberg, Historic Town of Goslar and Upper Harz Water Management System is a collection of different sites that represent the cultural identity and history of the city. Hence, it is important to look into each of these sites to get a better understanding as to why UNESCO considered it of value enough to earn the World Heritage Site status. The mining history of Rammelsberg could not be determined exactly when or how it started. 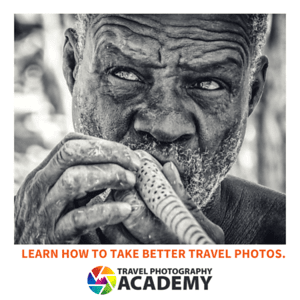 However, it has been a continuous process that has gone through different phases. When this mine was established, it was basically used for the mining of copper ore. Eventually, the site was used for mining silver. According to the archaeological excavations at the site, it was determined by experts that the history of mining in Rammelsberg dates back to the 3rd Century AD. There were several layers of sediments at the site that would support this claim. Aside from pre-industrial melting equipment, there are also remains of ore that were unearthed at the site of the mine during archaeological excavations. On June 1988, the mines in Rammelsberg were officially closed. This was after over 100 years in operation and after extracting more than 30 million tons of ore. Part of the reason why the mine was closed was the mineral deposits were largely exhausted. Eventually, the abandoned mine was converted into a museum in order to preserve the cultural heritage of the mine. This is also where some of the artifacts and industrial equipment were put on display to tell the history of the site. This component of the UNESCO site Mines of Rammelsberg, Historic Town of Goslar and Upper Harz Water Management System represents a masterpiece in engineering and early mining. This system consists of 107 historical ponds, 31 kilometers of waterways, and 310 kilometers of ditches. In fact, it is considered as one of the world’s largest pre-industrial power supply facilities. If you want to visit this part of the UNESCO site, you can do so on foot. 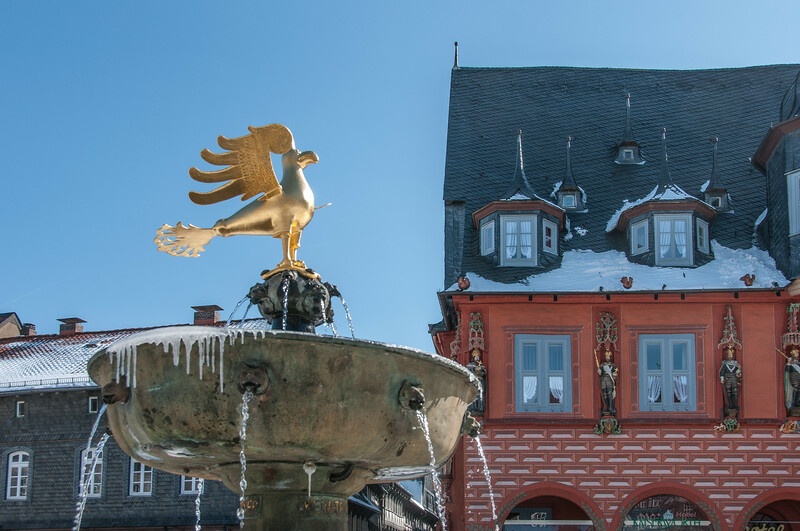 Simply follow along a network of waterside trails that will enable you to get a closer glimpse into the technological innovations of the time, which was part of the reason why the mines in Rammelsberg and the historic town of Goslar prospered. Visit my complete list of UNESCO World Heritage Sites in Germany. Visit my complete list of UNESCO World Heritage Sites.